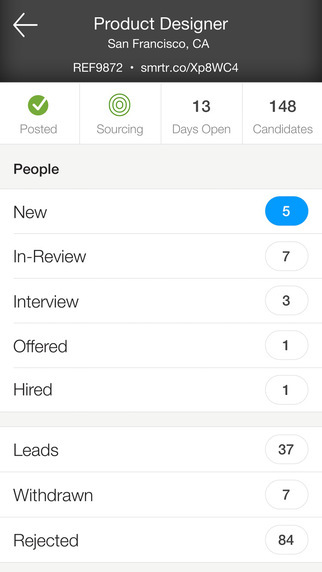 In a world where all your candidates have gone mobile, SmartRecruiters is the hiring success platform used by thousands of businesses worldwide to create and advertise jobs, source and manage candidates, and make the best hire. 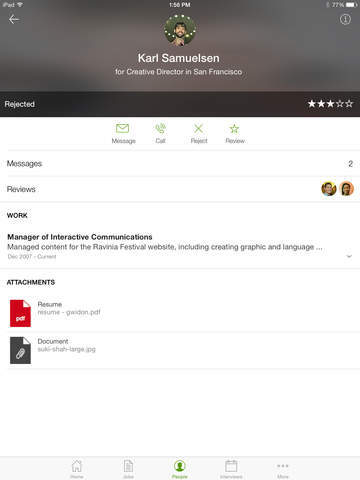 In addition to referrals, schedule interviews, review and rate candidates, collaborate with your team and view results from your phone or tablet. 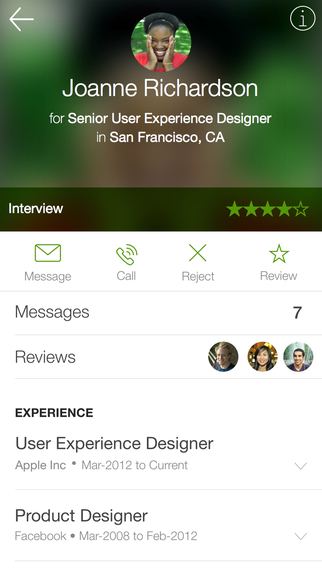 More functionality on the Go: View jobs, make social referrals and give feedback all from your iPhone or Android. 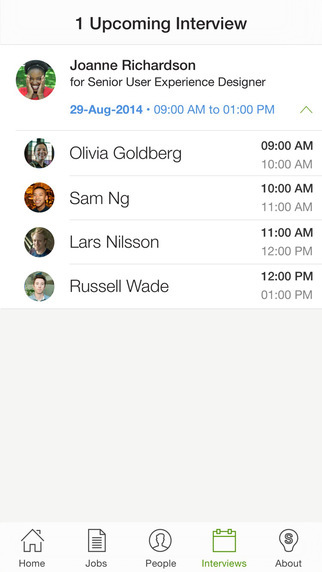 Easy Notifications: Stay on top of your hiring activity with email alerts and weekly digests. 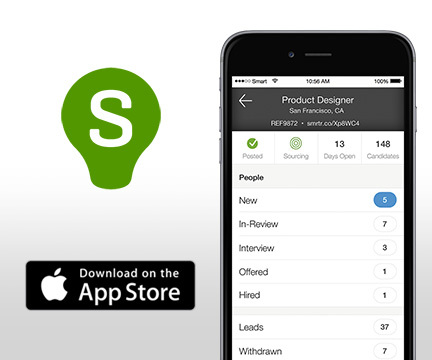 Loved by customers for its ease of use, SmartRecruiters is the easiest way to collaborate and manage mobile recruiting for your business.